Walker Bay strived to create a truly multipurpose boat with its Breeze 10. Inflatable tubes fit on the high impact marine composite hull creating a sturdy platform for sailing or use as a motorized dinghy without the rig. A two-piece mast is easily stored and the boom rides high for head clearance. A small jib adds sail area and is easy to set. 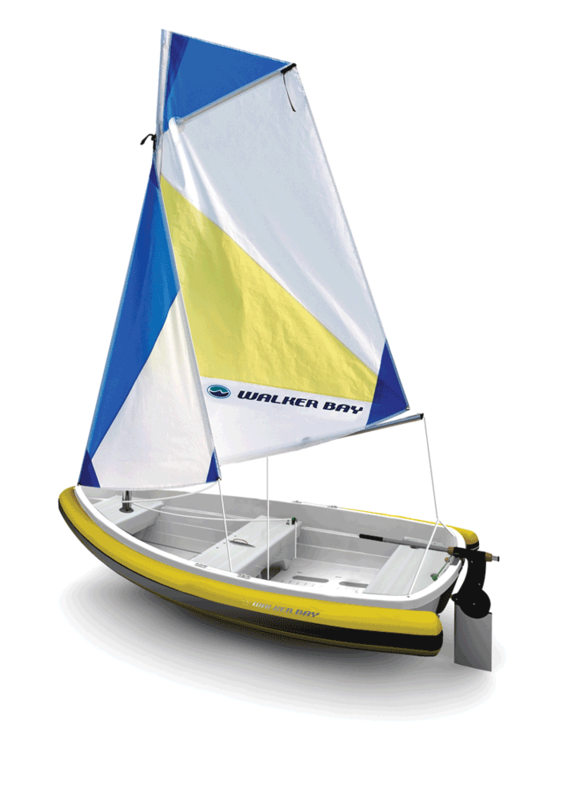 Beach launching is easy with a wheel in the keel that acts like a built-in dolly. An oar and oarlock set are optional, making the Breeze a boat that can change with your needs.